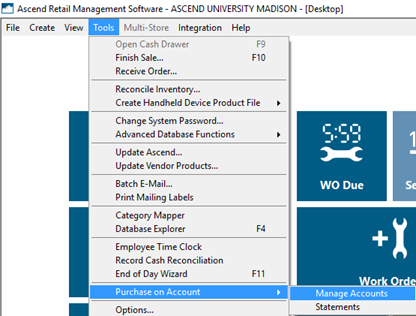 From the Ascend Desktop, select the View menu > Purchase on Account > Manage Accounts and double-click the customer. From the customer record, click the Manage Account button. 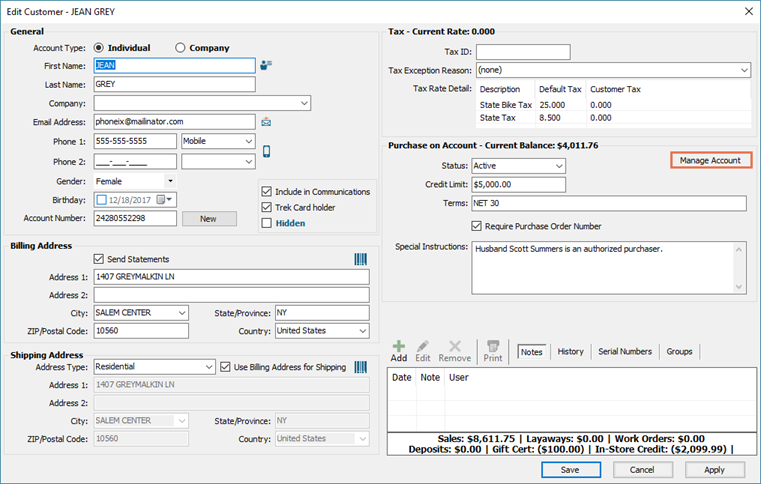 On the middle toolbar, select how payments should be applied to transactions. a. Apply Payments to Oldest Transactions First: Automatically apply payments to the oldest unpaid transaction(s). b. Apply Payments to Specific Transactions: Check the boxes next to the transactions to apply payments to those transactions. On the Payment toolbar, click the appropriate payment type (e.g. Check). Process the payment as normal. If a customer overpays on their account, change can only be returned as Cash or a Credit Memo on their account. Credit Memo amounts are not shared between locations, and can only be applied to Purchase on Account. To refund to Credit Memo, click the Credit button on the Change Due dialog box.